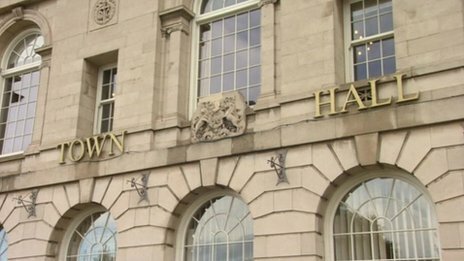 An ‘outstanding’ London secondary school is due to be placed in special measures, over concerns that it was not doing enough to protect its students from ‘extremist’ activities. The issues raised by the schools watchdog investigation include gender segregation and the posting links to ‘extremist preachers’ on students’ social media pages. Sir John Cass Foundation and Redcoat School, East London, is believed to have failed to monitor students in the school who were allegedly running an Islamic society that promoted a radical preacher on its Facebook page. A jihadist serving life in prison on terror charges brought in the wake of 9/11 has claimed the Saudi Arabian royal family helped finance the plot. A horrifying photo has emerged showing a smiling father encouraging his baby to kick the severed head of a dead soldier in Syria. The shocking picture shows the toddler, too young to stand, being held up by its delighted father so it can kick the decomposing head with its bare feet. 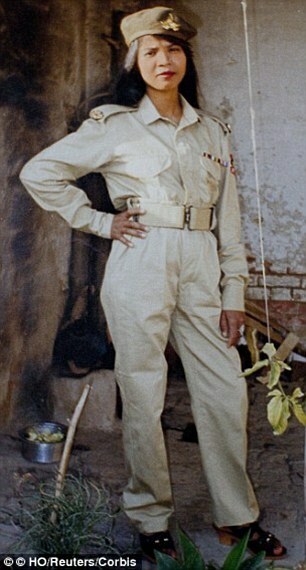 The man, pictured wearing camouflage, is thought to be a supporter of the Islamic State. 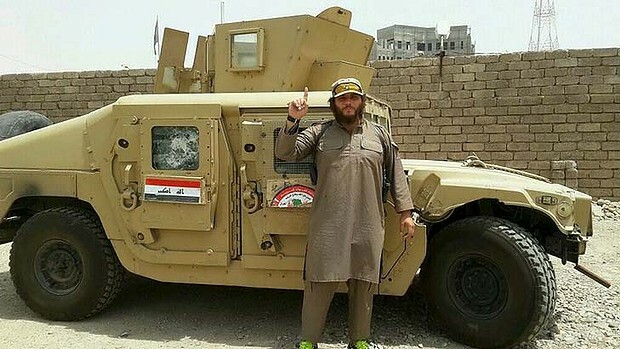 The image of the child is believed to have been posted by militants fighting across Iraq and Syria and was the latest to have emerged in a collection of children posing like terrorists. It's not the first time the terrorist group has used shocking images of children in their propaganda campaign, with a previous image showing a baby lying on an Islamic State flag next to guns and grenades. Four men have been arrested in connection with an alleged Islamist terror plot to kill the Queen. Reported by The Sun, the 88-year-old was to be assassinated over the weekend as she made an appearance at the Albert Hall in connection with the annual Remembrance weekend to celebrate the end of the First World War. According to the newspaper, police believe the suspected terrorists were conspiring to stab Her Majesty. The conspiracy was reportedly uncovered during routine surveillance. Pregnant mother of four young children was dead when thrown into kiln; husband burned alive. 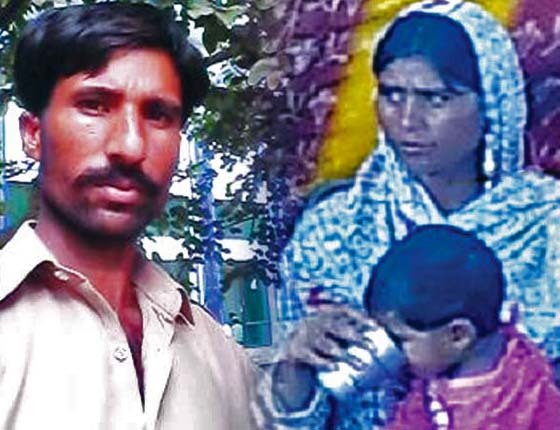 CLARKABAD, Pakistan, November 5, 2014 (Morning Star News) – Commanded from mosque loudspeakers, a Muslim throng in Punjab Province killed a Christian couple on Tuesday after a co-worker accused the pregnant wife of defiling the Koran, sources said. Living on the premises of the brick kiln where she worked in Chak 59 village near Kot Radha Kishan, Karur District, about 60 kilometers (37 miles) southwest of Lahore, Shama Bibi was beaten to death before the enraged mob threw her body into the kiln, a relative said. The 28-year-old mother of four children was five months pregnant. The relative told Morning Star News that her husband, Shahzad Masih, was also beaten but was still alive when he was thrown into the kiln with his wife’s body. He was 32. 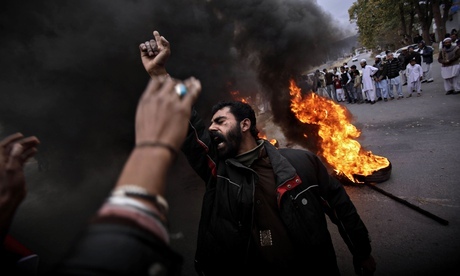 A Muslim mob beat a Christian couple to death in Pakistan and burnt their bodies in the brick kiln where they worked for allegedly desecrating a Qur’an, police have said. The attack in Kot Radha Kishan, 40 miles south-west of Lahore, is the latest example of violence against minorities accused of blasphemy. 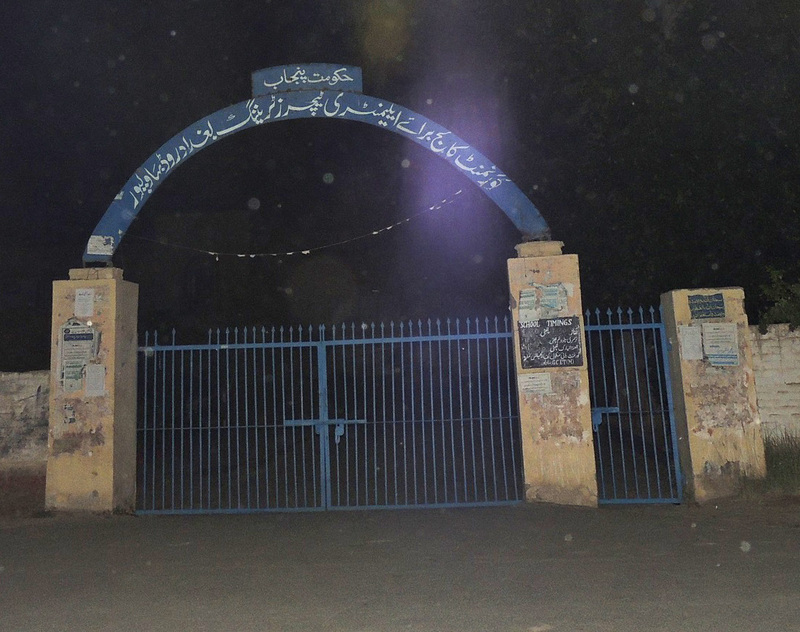 “A mob attacked a Christian couple after accusing them of desecration of the holy Qur’an and later burnt their bodies at a brick kiln where they worked,” local police station official Bin-Yameen said. Radicalised Australian children, as young as six, have been shown calling for an end to democracy and Australia’s way of life in a shocking extremist video. Four children, reportedly aged 6 to 13, claim that they want American President Barack Obama to go to hell and chant ‘O Bashar we want your head,’ about Syrian President Bashar al-Assad, in a video that was unearthed by Channel Seven. Police in New York say an axe attack on two officers was a terrorist act carried out by a radicalised Muslim convert. Zale Thompson, 32, was shot dead after wounding the two officers, one critically, in Queens on Thursday. Sen. Ted Cruz, Texas Republican, said the attack in Canada and a separate hit-and-run attack in Jerusalem Wednesday are reminders that “radical Islamic terrorism” is not confined to the Middle East and likened the shooting death of a soldier in Ottawa to the 2009 attack at Fort Hood, Texas. “Our great and good friends in Canada and Israel were targeted because both countries share the same core principles of tolerance and freedom that we in America hold so dear — and which are hated by the vicious terrorists whose ultimate goal is to destroy us all,” said Mr. Cruz, a possible 2016 GOP presidential contender. 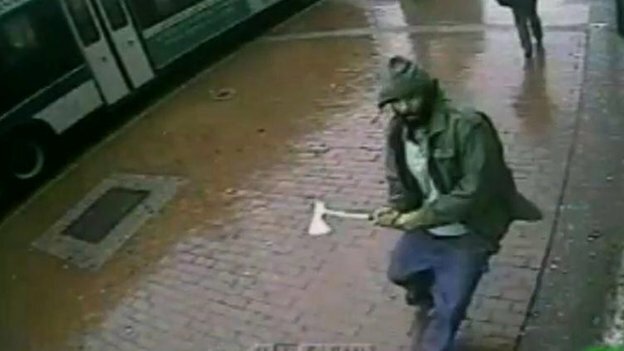 An axe-wielding man who attacked four police officers posing for a photograph on a busy street in New York has been shot dead. Two policemen were wounded in the attack, one critically, before the suspect was shot by two other police officers. He was pronounced dead at the scene. All four officers involved in the New York City incident had recently graduated from the city Police Academy. The gunman who fatally shot a Canadian soldier and wounded three other people during a shootout inside Parliament Wednesday was reportedly a recent Muslim convert. Authorities identified the shooter at Parliament Hill in Ottawa as Michael Zehaf-Bibeau, 32. Catholic leaders in Pakistan will appeal to their country’s Supreme Court after a lower court upheld the death penalty for a blasphemy ruling against a Christian mother of five children. “Like it or not, we have to accept the court order,” Father Emmanuel Yousaf Mani, director of the National (Catholic) Commission for Justice and Peace, told Catholic News Service. 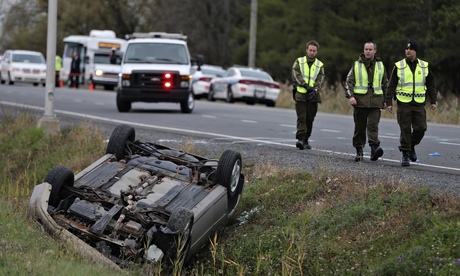 Terrorist ideology inspired a recent convert to Islam to drive his car into two Canadian soldiers, killing one, before he was shot dead by police, authorities said on Tuesday. Quebec police spokesman Guy Lapointe said the act was deliberate and that one of the two soldiers was in uniform. There were no other suspects. Jihad in the global village and the Balkans? "Terrorists, hijackers, these are people minus identity. They are deter mined to make it somehow, to get coverage, to get noticed." You'll say that the author of these words watched a black-clad man from the Islamic State of Iraq and the Levant (ISIL) beheading Americans. Nothing of the kind. The quote is from 1977. Its author is the well-known media researcher, Canadian Professor of English Marshall McLuhan. Read more: Jihad in the global village and the Balkans? 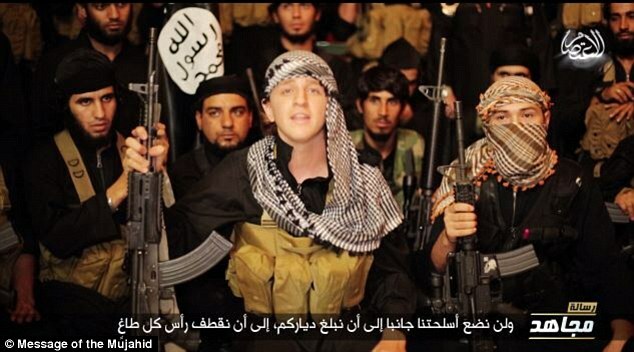 Relatives of a ginger Australian jihadist have condemned him for appearing in an Islamic State propaganda video in which he says the terror group will not stop their murderous campaign 'until the black flag is flying high in every single land'. In chilling footage published on YouTube, white Sydney-born Muslim convert Abdullah Elmir, 17, calls himself 'Abu Khaled from Australia' and is seen flanked by other militants. Speaking directly to the camera, the jihadist tells Western leaders their efforts to defeat ISIS will fail, adding that the terrorists aim to raise their black flag over Buckingham Palace and the White House. Barnabas Fund has today received the sad news that the appeal made by Pakistani Christian mother Aasia Bibi against her conviction under Pakistan’s “blasphemy law” has been rejected and the death sentence she was given confirmed. Aasia’s appeal was dismissed this morning at a hearing held at the High Court in Lahore. She has been languishing in prison since being falsely accused of defiling the name of Muhammad during an argument with Muslim co-workers in 2009. Please pray for Aasia and her family at this extremely difficult time, and please also consider writing to your elected representative on Aasia’s behalf. 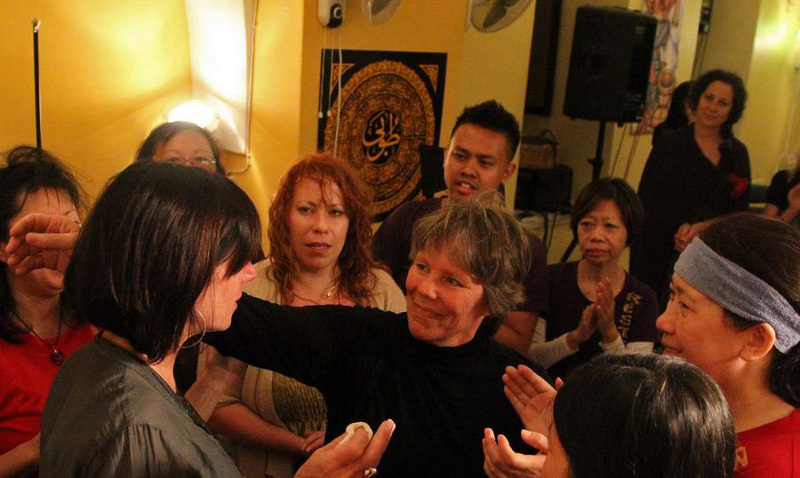 Guidance for how best to do so can be found here. The reports from inside Kobane, the Syrian border town considered a potential watershed capture for the terrorist group the Islamic State, are ever more dire as American-led airstrikes appear to do little to stop the massacre of Kurds in a gateway town to Turkey. In an exclusive report, the Daily Mail cites the testimony of multiple witnesses, now Kurdish refugees who managed to escape the wrath of Islamic State terrorists. "Headless corpses litter the streets of the besieged Syrian border town, they say, and some of the mainly Kurdish townsfolk have had their eyes gouged out," writes author Sam Greenhill, adding severed limbs, cut-out tongues, and a diverse array of torturous behavior carried out on Kurdish bodies. LONDON — As British war planes arc through Middle Eastern skies and security services race to unravel terrorist plots at home, the nation’s most prominent propagandist for the Islamic State sits in a London sweets shop, laying out his radical vision between bites of dessert. As many as 2,000 British jihadists are fighting with Islamic State militants in Syria and Iraq, Labour MP Khalid Mahmoud claims. 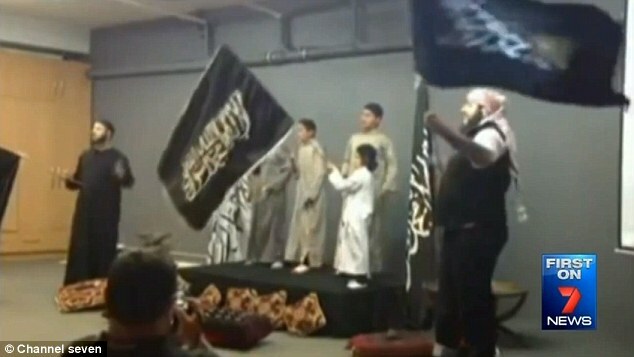 The politician said more UK youngsters than ever were being recruited by the terror group. He told the Sunday Mirror: "The official figures are a huge understatement. The true figure of British radicals in Syria and Iraq is closer to 2,000. Still the numbers are rising." Two teenage girls who fled home to join Islamic State militants reportedly want to come home after being married to foreign fighters and falling pregnant. 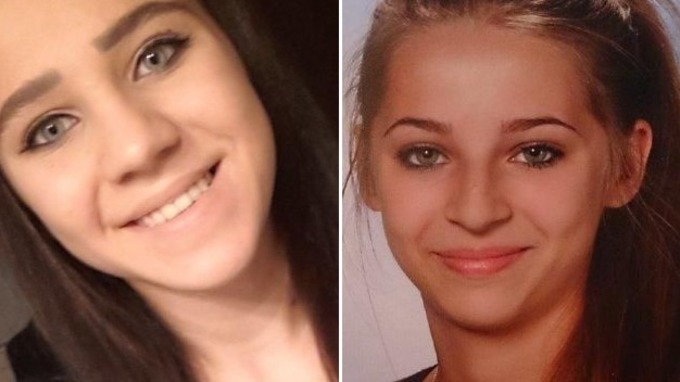 Sabina Selimovic, 15, and Samra Kesinovic, 17, left their families in Austria in April and were believed to have traveled to Turkey before crossing over to Syria. However, the Telegraph reports that the pair have grown disillusioned with the restrictions of life under the radical Muslim group, which forbids women to talk with whomever they like. A fighter of the Islamic State of Iraq and the Levant (ISIL) holds an ISIL flag and a weapon on a street in the city of Mosul, June 23, 2014. CAIRO (Reuters) - Islamic State, fighting to redraw the map of the Middle East, has been coaching Egypt's most dangerous militant group, complicating efforts to stabilize the biggest Arab nation. Confirmation that Islamic Sate, currently the most successful of the region's jihadi groups, is extending its influence to Egypt will sound alarm bells in Cairo, where the authorities are already facing a security challenge from home-grown militants. Pope Francis touches the wall that divides Israel from the West Bank, on his way to celebrate Mass in Manger Square next to the Church of the Nativity in the West Bank city of Bethlehem on May 25, 2014. A three-day summit of Vatican ambassadors from the Middle East and North Africa, called upon by Pope Francis to discuss persecution of Christians by Islamist extremists in the region, concluded this weekend with a call for a solution to the Israeli-Palestinian conflict and reaffirmation of military force against ISIS. Vatican envoys from Egypt, Iraq, Israel, Jordan, Libya, the Palestinian territories, Syria and Turkey met in the Vatican for three days to discuss how persecution of Christian minorities in the region could be better prevented. 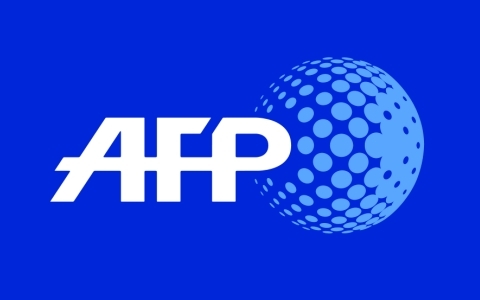 SARAJEVO, Bosnia-Herzegovina (AP) — Bosnian police have detained 16 people suspected of having fought in Syria and Iraq or of recruiting and funding other Balkan men to join the Islamic militants there, they said Wednesday. Police said about 200 officers from a number of Bosnian law enforcement agencies were involved in an operation targeting 17 locations around the country. Four Egyptian Christians were reportedly kidnapped by unknown persons this week in Libya near the city of Sirte while attempting to leave the country. According to the Libya Herald, the four victims are named as brothers Jamal Matta Hakim, Rafat Matta Hakim, and Romani Matta Hakim, and the son of their cousin, Adel Sadiki Hakim. Palestinian militants seek to stop ministry and seize property, Christians say. 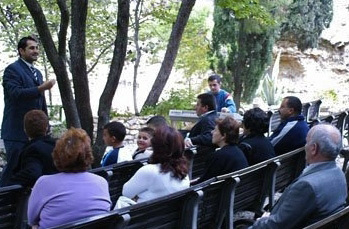 ISTANBUL, Turkey, September 30, 2014 (Morning Star News) – In the latest of several attacks on a congregation in East Jerusalem, young men with ties to a Palestinian militant group wired shut a church door and sprayed a gaseous substance at those inside hours before dawn on Monday (Sept. 29), church sources said. The UK terror threat level has been raised to its second highest meaning an attack on the country is “highly likely”. Theresa May, the Home Secretary, said the decision was taken in light of the increasing dangers posed by British fanatics and other foreign fighters in Iraq and Syria. The former prime minister warns a global campaign to defeat the forces of radical Islam will take a generation. Tony Blair has told Sky News that radical Islam is a "global problem" that will take a generation to defeat. Speaking to Sky's Adam Boulton from New York, the former prime minister said defeating the forces of radical Islam will need a "global response". "I think President Obama is doing absolutely the right thing in assembling the broadest alliance against Isis," Mr Blair said, referring to Islamic State militants. "(But) even if we deal with this Isis group, you've got a plethora of these types of groups, not just in the Middle East but in North Africa and elsewhere in the world. "Looking at this broader issue of radical Islam ... this is a global problem. Pastor has lost other worship sites to Islamist antagonists. ISTANBUL, August 28, 2014 (Morning Star News) – Seven years of harassment and attacks by hard-line Muslims have finally forced a Palestinian church in East Jerusalem out of their building, church leaders said. The congregation of Calvary Baptist Church, under Holy Land Missions, moved out of their building in the Shofat area of Jerusalem in July after Islamists threatened their landlord. They are looking for a safer, more permanent place to meet. Although it is unlikely the movement will be banned in the UK, it is highly speculated that restrictions will be put on the group especially by the Charity Commission. The United Kingdom is on the verge of introducing curbs on the Muslim Brotherhood and organizations linked to it after senior diplomat and ambassador to Saudi Arabia, Sir John Jenkins, filed a report raising concerns over their connections to 'extremist' groups in the Middle-East. Australian police Wednesday raided an Islamic center and seized two men for alleged involvement in recruiting and sending militants to Syria. The raids involving 180 police came a day after the country’s spy chief said he was “actively considering” raising the terror threat level over Australians’ involvement in overseas militant groups. 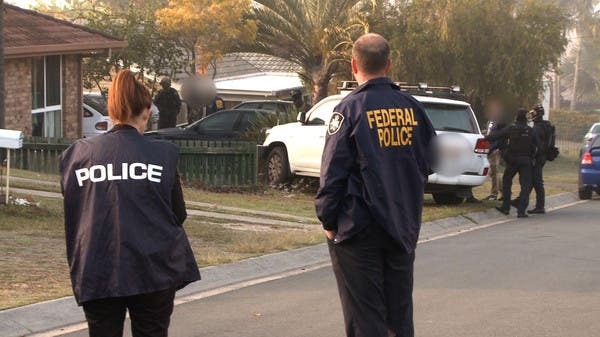 Australian Federal Police said the men, aged 21 and 31, were arrested for terrorism offences, alleging they were “involved in recruiting, facilitating and funding people to travel to Syria to engage in hostile activities”. 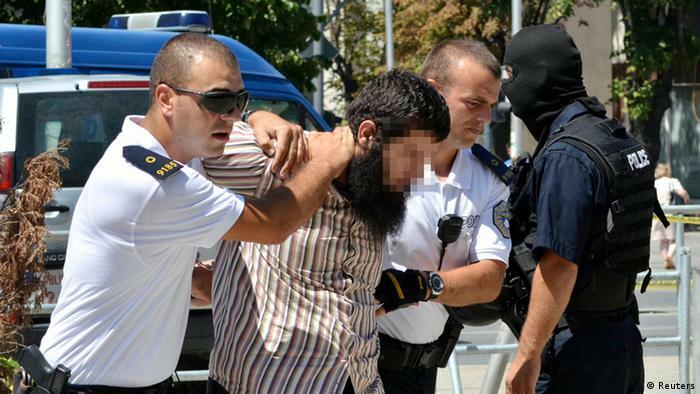 Over the span of two days, 43 Islamic extremists were arrested in Kosovo. Dozens more are under watch, both at home and in the Middle East. As fears of terror attacks grow, Kosovo is clamping down. The act that triggered the largest police action in Kosovo since the war in 1999 was terrible and barbaric. The Kosovar jihadist Lavdrim Muhaxeri posted before and after photos of the beheading of a 19-year-old in Syria, where the jihadist is currently fighting for the Islamic State (IS). Those images were published in nearly every Kosovo newspaper and Internet portal and sparked outrage and deep shock among Kosovars. Family of convert from Hinduism says Muslims retaliating for refusal to convert to Islam. LAHORE, Pakistan, September 9, 2014 (Morning Star News) – Police in Pakistan have taken into custody a Christian convert from Hinduism and his Hindu co-worker for allegedly burning a Koran and a chart of Koranic verses. Almost a decade after their arrest, much of the most comprehensive terrorism cell in Australian history continues to menace the country with the same messages of violence and anti-Western hate, which are being spread either by cell members or some of their close relatives. Isis: British women led by Aqsa Mahmood 'running sharia police"
As many as 60 British women have joined an all-female sharia police unit for the Islamic State (Isis), reprimanding those who fall foul of the jihad’s strict rules. The al-Khansaa brigade is believed to be operating in the Syrian city of Raqqa, which is controlled by Isis militants and works as their Syrian headquarters. Read more: Isis: British women led by Aqsa Mahmood 'running sharia police"
The menacing advance of the Islamic State in Iraq should not prejudice Western people against Muslim people and the Islamic faith. I once served as an airman in Egypt and Iraq and can vouch for the kindness and goodness of many Muslim people. Indeed, more than three million have made their home in Britain, and by far the majority want to get on and make good and peaceful homes among us. But there is a darker side. Radical Islam is on the rise and imperilling our way of life, threatening to undermine the values that have been bitterly won over the centuries. 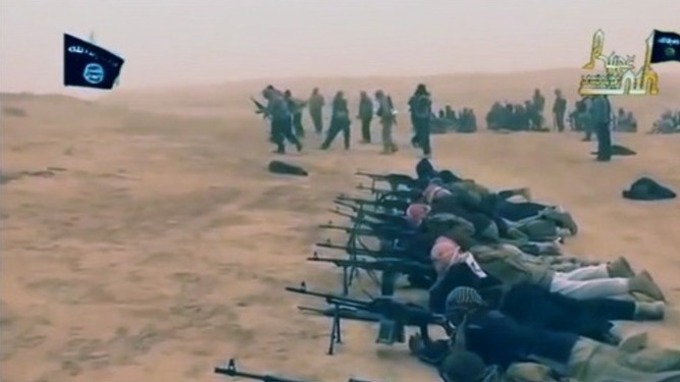 In recent weeks, we have heard desperate reports of barbaric violence – including crucifixions and beheadings – accompanying the onward march of the terrorist group calling themselves ‘Islamic State’ (IS, formerly ISIS). Details have begun to emerge about the man arrested for the murder of a great grandmother beheaded in her back garden. He was named locally as Nicholas Salvadore, a 25-year-old would-be cage fighter who is believed to be a Muslim convert, who had been living a few doors from 82-year-old Palmira Silva. 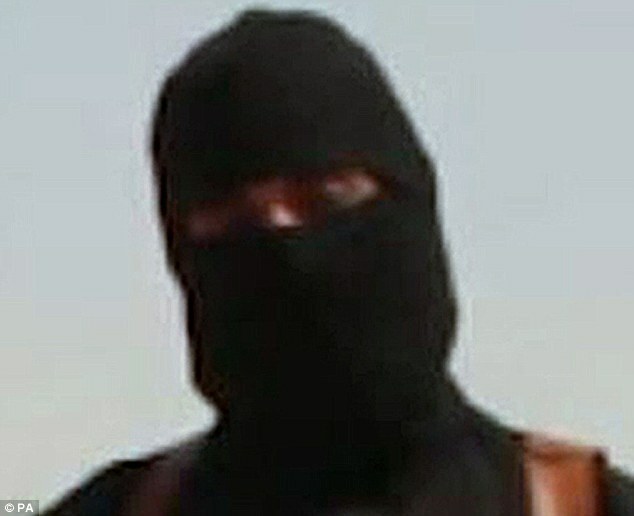 Boris Johnson has said he wants the reportedly British jihadist who beheaded American journalist James Foley to be killed in a bomb attack. The Mayor of London said Britain must take on Islamic State (IS) and "try to close it down now", warning that doing nothing would mean a "tide of terror will eventually lap at our own front door". 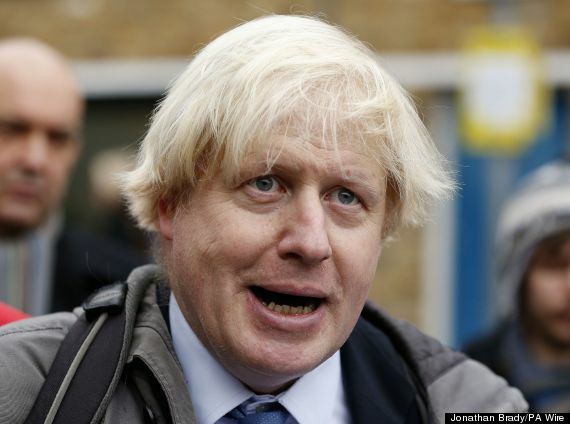 Mr Johnson, who has overall responsibility for the Metropolitan Police and is planning to return to parliament next year, called for new laws that would mean anyone visiting Iraq and Syria would be automatically presumed to be terrorists unless they had notified the authorities in advance.